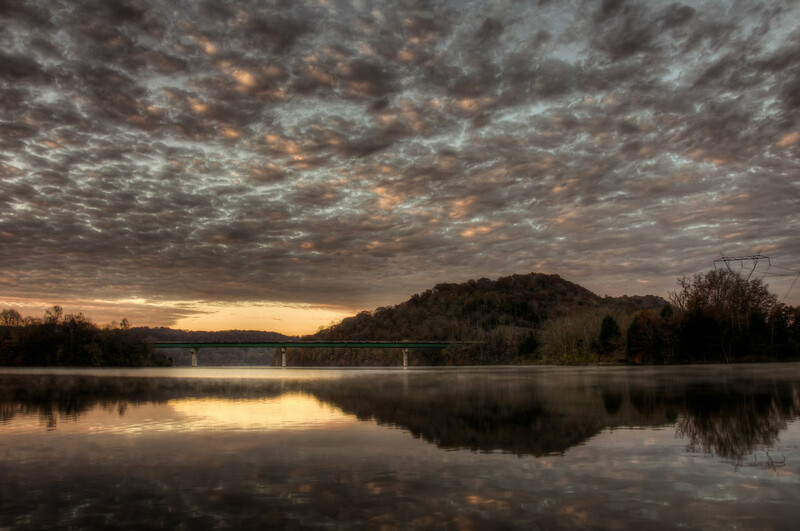 Clinch River Sunrise | Just Shooting Memories! 15 minutes is all the difference in great colors during sunrise and sunset. However, if you miss that magical time, all is not lost. I missed some amazing pinks and purples by about 15 minutes and almost did not stop for this shot. The low angle of the sun really made the clouds stand out. I just wish it had been about a week and a half earlier so I could have gotten the fall leaf colors.